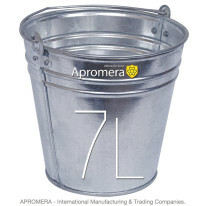 This section presents Apromera-produced Tin Buckets. 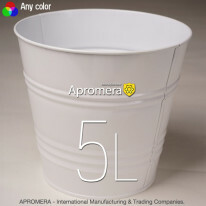 They are made from metal of 0.40 to 0.55 mm thickness. 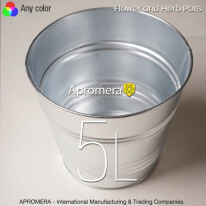 The containers guarantee perfect order and cleanness for any home. These products are highly popular in Britain (UK). When choosing a container, pay attention to its capacity. Browse our catalog and choose products to your liking and in the colour scheme of your kitchen unit. 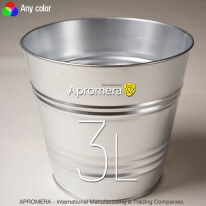 Tin Buckets are ideal for mopping floors or as a trash bin. 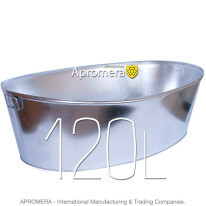 Our products are best-selling items as they are strong, convenient and rustproof. 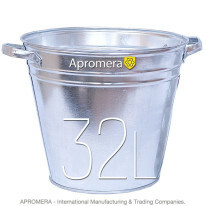 Various capacities make these buckets a versatile household and construction tool, and a low price is a bonus you can not help appreciating. Convenient design. The model has a convenient round shape. Utility. 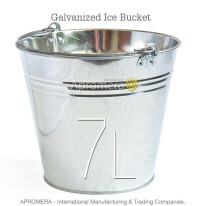 These buckets made from a durable temperature-resistant material. Durability. Products have a long-lasting performance. Payment Terms and Delivery Conditions are available here.